Future Of Music Coalition stories at Techdirt. stories about: "future of music coalition"
The Future of Music Coalition, who has put together a big list of revenue streams for musicians, as a tool for getting them to think about alternative business model opportunities, is now trying to take that idea even further. 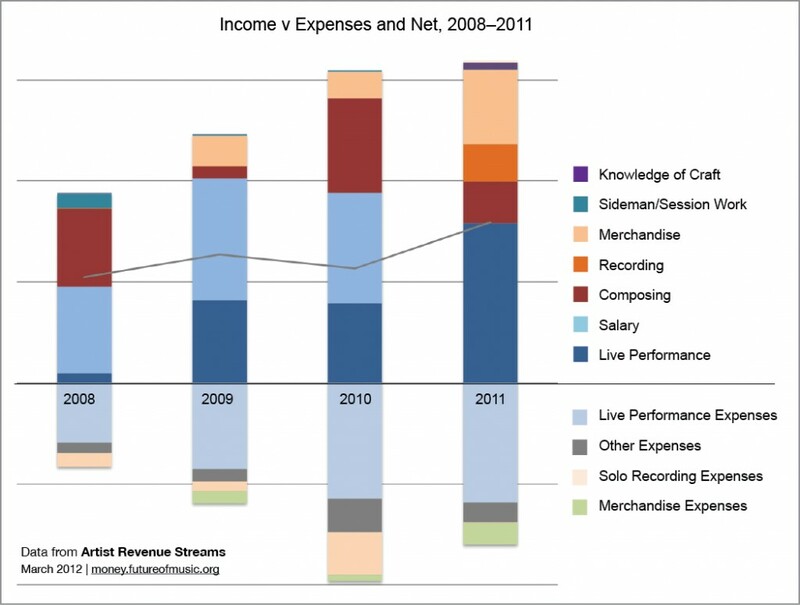 So it's now launching the "Artist Revenue Streams Project" to dig into how artists are actually making money today, and how that's been changing over time. This seems like it should be a very useful project. FMC is looking for candidates to interview, so if you're a musician, check out the application questions. The overall project will be opened up to a wider audience eventually, but for the initial part, they want to conduct in-depth interviews with a variety of musicians to help establish the later survey. What's not entirely clear, yet, is if FMC intends to release the eventual data publicly. One would hope (and assume?) so, but it's not mentioned explicitly. No matter what, getting more data on these things can only be a good thing.